Christine P. Schiltz | Parkowski, Guerke & Swayze, P.A. 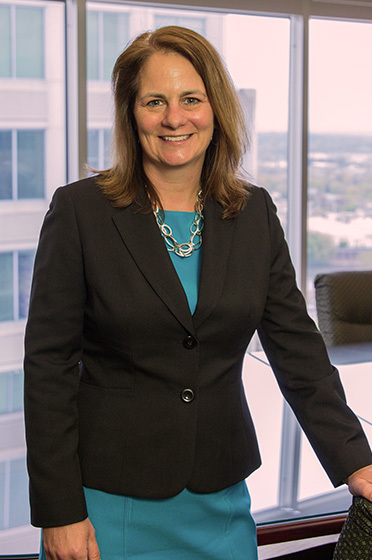 CHRISTINE P. SCHILTZ joined Parkowski, Guerke & Swayze as a Director in June 2003, bringing with her a practice concentrated in the areas of insurance and banking law, health care and government relations and regulatory representation. Ms. Schiltz has represented a variety of clients before the Delaware General Assembly and Delaware administrative agencies. In the past three years, representative clients include, Christiana Care Corporation, The DuPont Company, Metropolitan Life Insurance Company, Progressive Insurance, AT&T, America’s Health Insurance Plans, AAA Mid-Atlantic, PNC Bank and Bluewater Wind, LLC. Ms. Schiltz also practices in the areas of corporate law and the representation of business entities. She routinely advises clients on issues involving Delaware corporate law and Delaware alternate business entities, including Delaware investment holding companies. A former judicial clerk to the current Chief Justice, Myron T. Steele, Ms. Schiltz is a member of the American Bar Association’s Business Law and Tort and Insurance Practice Sections. She is also a member of the Delaware State Bar Association, having served on its Executive Committee, and was formerly a member of the Terry-Carey Inn of the American Inns of Court. She also serves on the Bench-Bar Media Conference. She is admitted to practice in Delaware. Ms. Schiltz is a 1993 graduate of the University of Richmond, T.C. Williams School of Law. She received her B.A. from Wake Forest University in 1990. Ms. Schiltz serves as a member of the Board of Directors of the New Castle County Chamber of Commerce. She also is a member of the Delaware State Chamber of Commerce’s Health Care Committee and is a graduate of Leadership Delaware. Ms. Schiltz serves as Vice President of the Board of Trustees of Westminster Presbyterian Church and was formerly a member of the Board of Stewards of the Friends of Wilmington Parks. . Ms. Schiltz has recently been appointed by the Delaware Insurance Commissioner to serve on the Workers’ Compensation Data Collection Committee.